Enchantment, adventure, high jinks, and some of the largest (and cutest) animals on the planet – we have all this and much more here in South Africa. 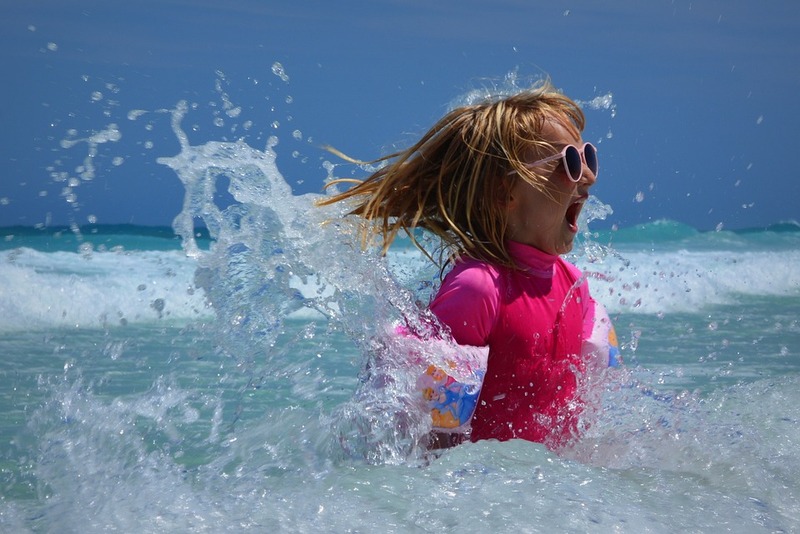 When you feel the need to delight, reward, treat or inspire the kid who lives inside you, opt for one of our getaways that will feed your inner child – remembering that there are psychological benefits to be derived from nurturing one’s inner child. Cute little animals are always a delight, perhaps because they bring so much joy to the child within. 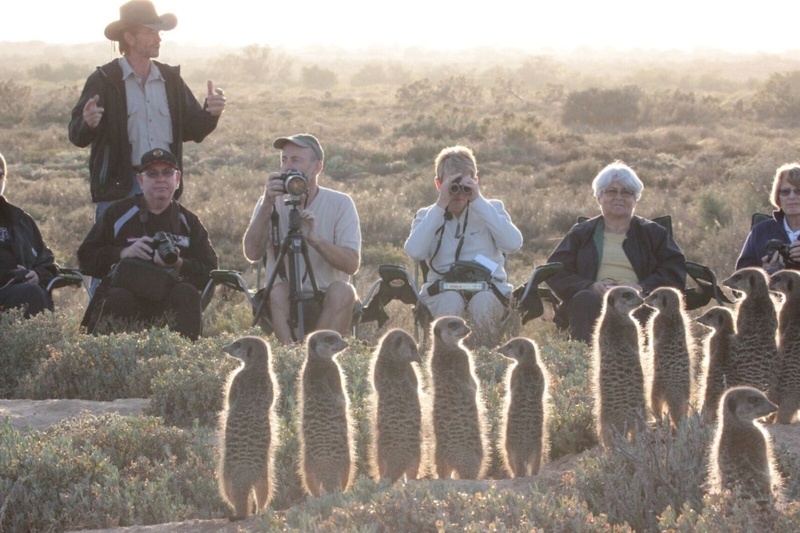 Stay at De Zeekoe Guest Farm in the Oudtshoorn area and do an unforgettable meerkat adventure on one of the mornings. The lodge is set on a working farm, so there’s much to keep your child spirit enthralled. Check Rates and Availability at De Zeekoe. Sleeping under the stars is sure to awaken the young scout within. Sleepouts can be full of adventure, bringing the young scout alive in us. What better place than amid massive rocks in the Cederberg of the Western Cape? 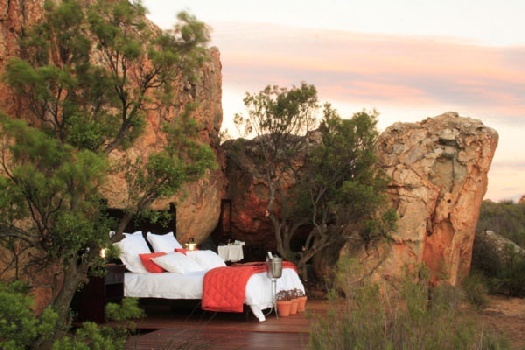 Doze off beneath twinkling stars on a rocky outcrop at Kagga Kamma Nature Reserve, set at some distance from the lodge. 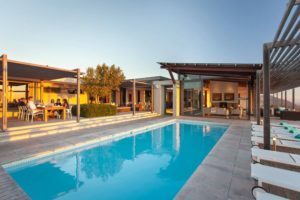 Check Rates and Availability at Kagga Kamma. 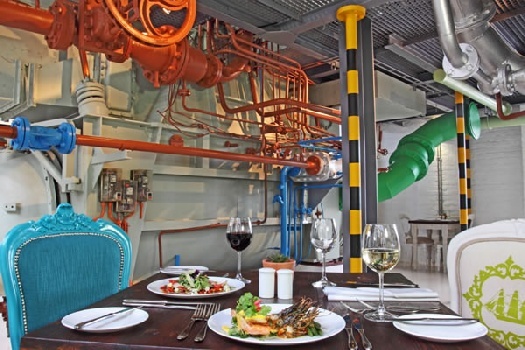 If mechanics get you going, your inner child will be in paradise at The Turbine Hotel and Spa in Knysna. The Turbine is a stunning conversion of an old turbine site, and much of the old gadgetry and instruments have been preserved and showcased as part of the funky decor. A walk through the hotel holds a multitude of marvels – there are enough old instruments on display to entertain the inside kid who has a fascination for mechanics. Mail us about The Turbine. Be sure to meet all the ghosts of Prince Albert on the after-dark Ghost Walk in Prince Albert during your stay at Onse Rus. 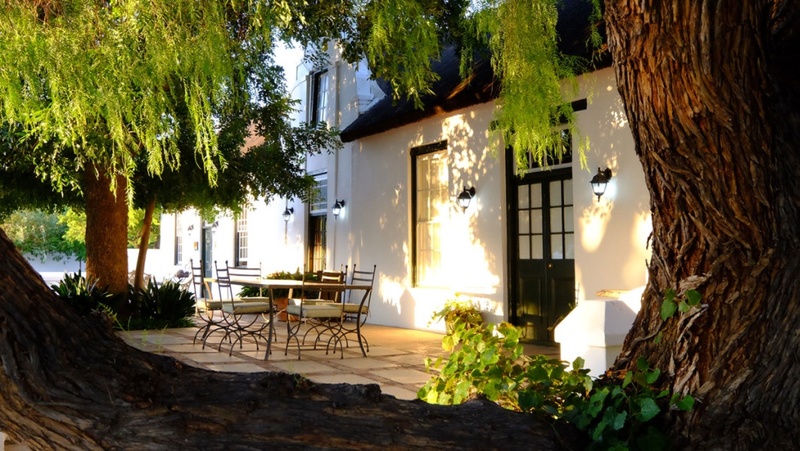 Hear about the ghostly, the ghastly and the greats of a Karoo town where a fair share of characters have touched sides. Check Rates and Availability at Onse Rus. Delight your inner child at a gem stone scratch patch. Another top-notch idea for your inner child, if you’re a fan of old mechanics, is a trip on Rovos Rail that starts at Capital Park Station in Pretoria. 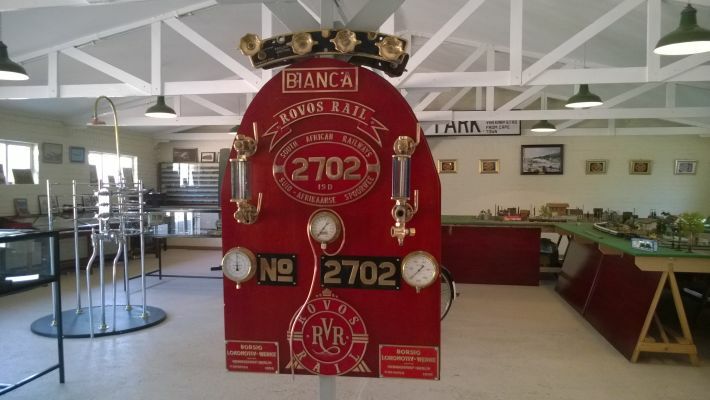 There, before boarding, you can browse the Rovos Rail Museum, a treasure-house of items depicting the fascinating history of trains and rail travel. 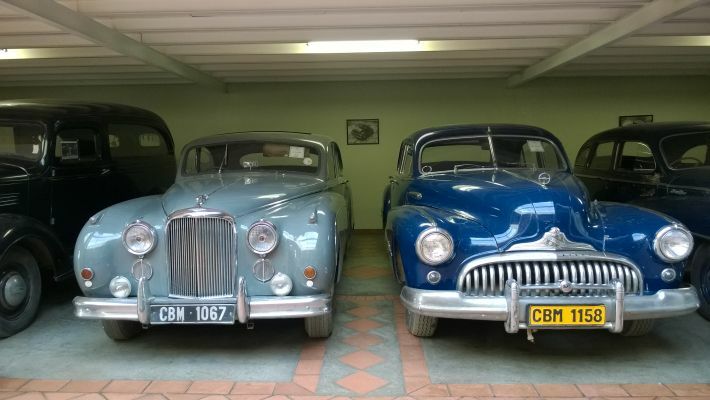 On the Rovos Rail Pretoria to Cape Town route, one of the off-train excursions is at Matjiesfontein, where there’s a wonderful car museum to visit. Mail us about Rovos Rail. 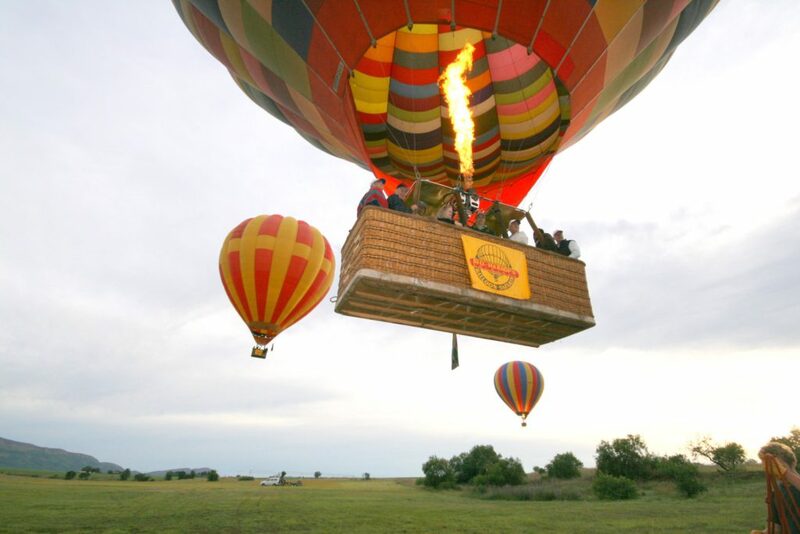 A hot-air balloon safari is a magnificent adventure, and is sure to call your inner child out to play. Bill Harrop’s “Original” Balloon Safaris offers thrilling hot-air ballooning adventures in Gauteng and beyond. It’s an unforgettable and rejuvenating adventure among the clouds. Mail us about ballooning. Meet the largest land animals on a wildlife safari in South Africa, and if you go to Camp Jabulani in Limpopo, you can meet and learn about a herd of rescue elephants that are cared for by a dedicated team at Camp Jabulani. Check Rates and Availability at Camp Jabulani. South Africa has several exciting tree canopy hideaways, such as this one in Lalibela Game Reserve in the Grahamstown area. 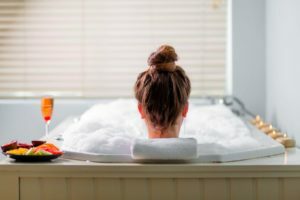 An enchanting treehouse or treetops holiday will evoke the brave adventures of Tarzan and Jane, known to most of us as children, or bring back memories of rickety treehouses built or perhaps just dreamed of. 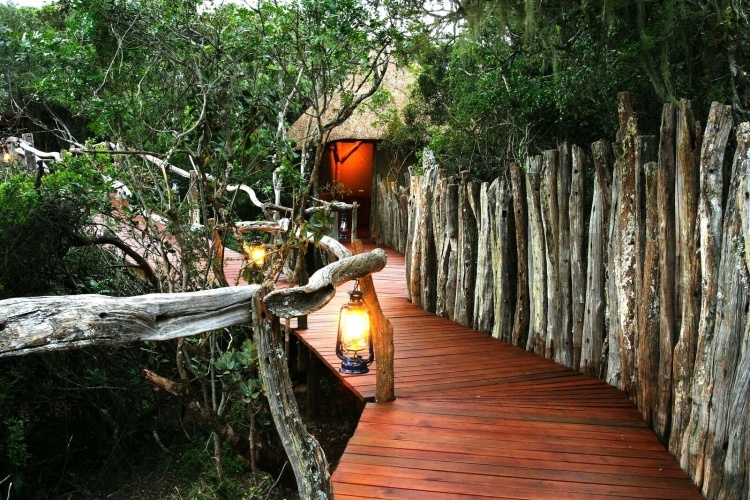 Choose one of our enchanting treetops getaways in South Africa. Frogs are a source of delight to any kid, and at Amakhosi Safari Lodge in KwaZulu-Natal, the offerings include seasonal frogging safaris from November to March each year. 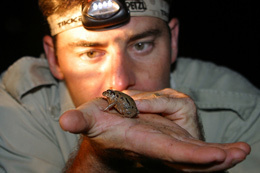 Discover the wonderful world of amphibians with Amakhosi guides on exciting night safaris. Check Rates and Availability at Amakhosi Safari Lodge. Mail us to book holidays throughout South Africa, or call +27 21 797-7122 (international) or 0860 102 907 (local) to speak to us.